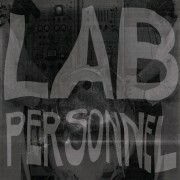 Lab Personnel is a very intriguing collaboration between a number of producers hailing from Croatia. Members include Zarkoff (member of Sumerian Fleet), Neon Lies, ikonal many more (total eight members). The tracks were recorded during Synth Lab 4 improvisational sessions in Pisak in 2017. The album is a dense and stormy affair overall with mesmerizing and dark synths. The styles presented drift between genres including acid techno, electro, EBM, and other hybrids. All instrumental, the LP is a brooding journey into diverse techno soundscapes with eight strong tracks that will not disappoint.